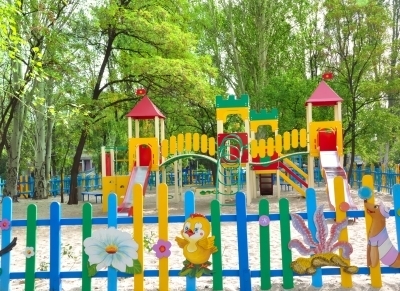 The Queensland Government have launched a program aimed to educate parents on how to get their children to play outside. This new Nature Play program was prompted by an recent increase of children aged 5-14 years, presenting to emergency with broken limbs. The government are hoping this program encourages parents to switch 'screen' time for 'green' time. Parents need to take this, and the rising obesity rates, as a wake up call and remember that children learn through play. They will learn if they fall, it will hurt and take the necessary measures not to fall next time. 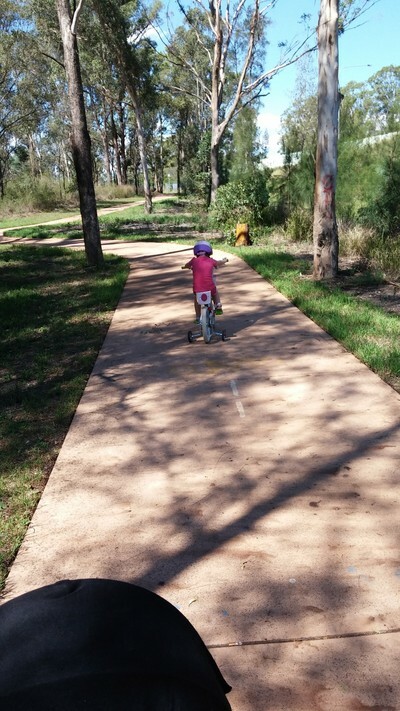 Perhaps I am in the minority, but my three and a half year old daughter and two year old nephew would happily potter outside in the backyard, in the cubby house or the local playground all day, only coming to me when they are hungry or thirsty. I recently wrote an article about helping your kids to be more active. In this piece, I noted my shock when the Director of my daughter's preschool commented that they had a number of children that could not physically write because they had no core strength. That statement speaks volumes about our modern society. I am absolutely thrilled that my daughter's preschool focus on learning through play, rather than more traditional methods of 'rote' learning. At this preschool, the kids are allowed to get their hands dirty in the mud kitchen, in the vegetable garden, in the sandpit, paint and they are even encouraged to bring along their rain coat and gumboots so they can play outside on rainy days. I understand it is difficult in families where both parents work to find the time to take their children outside during the week. However, this just makes it so much more important that they go outside together as a family on the weekends. Surely, it is the parents' responsibility, not the Governments, to set an example for their children and enforce limits on the amount of 'screen' time they allow their children to watch. 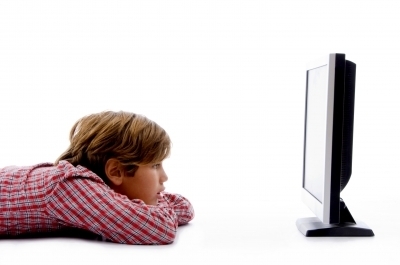 Parents' should limit the amount of 'screen' time allowed in their house Image Source: www.freedigitalphotos.net "Side Pose Of Boy Watching TV" by imagerymajestic"
Are we raising a generation of kids that don't know how to play? Is it necessary for the government to step in or should the parents take more responsibility for their children's health? At what age did you send your children to primary school? I think as well as raising a generation of kids that don't know how to play, we're experiencing a generation of parents who are too stressed and busy to actively encourage play with their children. It's so much easier to turn the TV on or give your kid an electronic device to let them "play" on. They don't get hurt and don't need much help if they're just sitting their watching a show. It is important to encourage kids outside. Set the boundaries early with TV and electronics, then children know how to entertain themselves. If all they have ever done is sit in front of a TV, they aren't going to know how to do anything else, but if they've only been allowed 1 show a week (as my kids are, on a Friday night, if they've been good) then they get outside and play with each other and potter around in the garden, create games, tell stories and have fun. I made a point of making a joke out of early stumbles and falls when my little boy was young (provided he is not badly hurt). They look to you for reactions and if we make a big deal out of little accidents then they learn this behavior. At 2.5yo he still looks to me for a reaction and more often than not giggles at me after minor tumbles. Very rarely do we have crying after minor incidents.